Quick And Easy Zucchini Recipes For Babies. 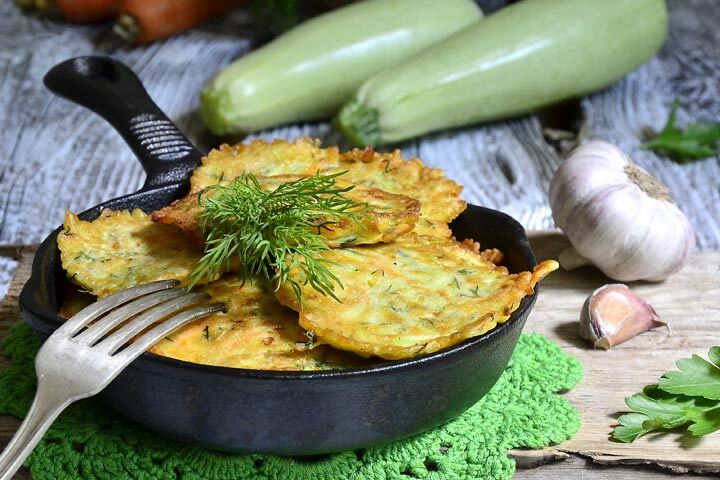 Zucchini, which is also known as courgette in several parts of the world, is a good food option to add to your diet. It is packed with several nutrients needed by your body. But is zucchini really good for babies? 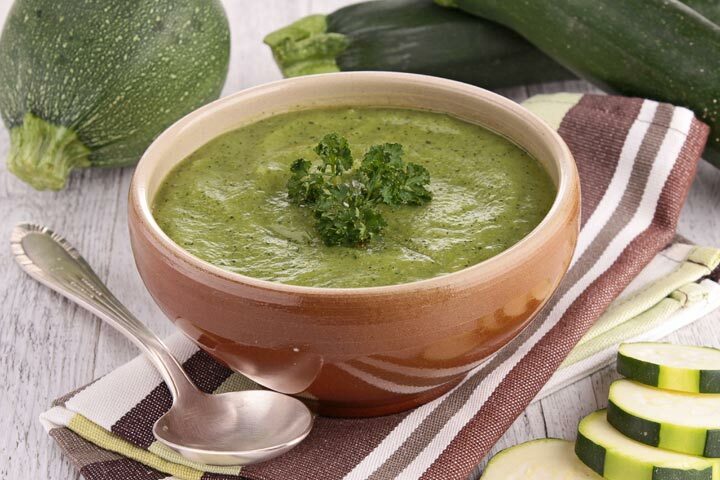 Know more about its nutritional benefits and discover how to make courgette recipes for babies. Cut the zucchini and onion into cubes and arrange them on a baking tray. Sprinkle some smoked paprika over the top (optional) and drizzle some olive oil as well. Roast it in the oven for 30-45 minutes at 400 and then allow it to cool down. Transfer everything to a food processor and blend until the mixture turns smooth. 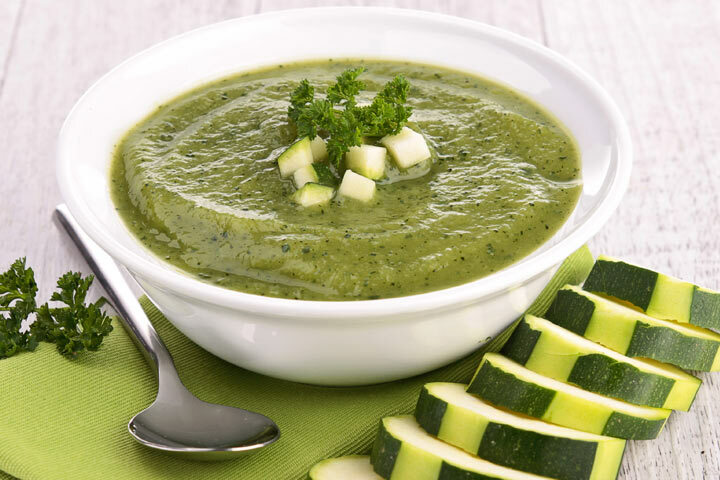 Boil the zucchini in a pot of water until tender. In another pot, cook the pasta and drain off all the excess water. 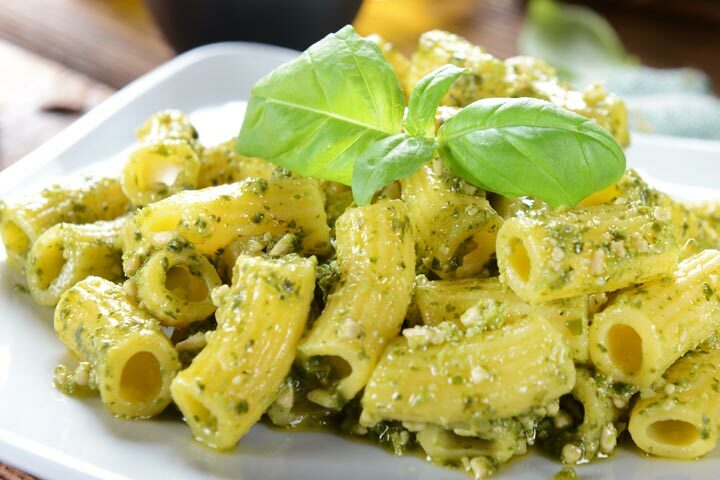 Drizzle some olive oil over the pasta to keep it from sticking. Chop or smash the tender zucchini and add it to the pasta. Sprinkle with salt and pepper if needed. Add diced bell peppers and cheese if your baby is over 8 months of age. Boil all the three vegetables in a medium saucepan for around 5 minutes or until they turn tender and then drain off all the excess water, storing it in another container. 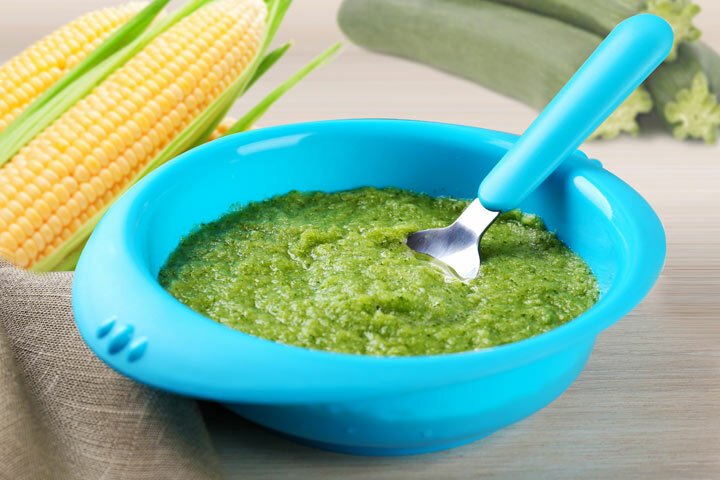 Blend all the vegetables together using a hand blender or in a food processor until a smooth paste is obtained. Add some of the stored water if needed. Sauté the onion and garlic in a small pan with olive oil until it turns tender. Cut the potato into small cubes and add it to the pan and cook over very low heat for 15 minutes. Now add cubed zucchini and cook for additional 5 minutes. Now add the vegetable stock and allow it to come to a boil. Stir in the yogurt and you’re done. Wash all the vegetables well and grate the carrot and zucchini and set aside. Chop the onion and then mix all the vegetables together in a bowl. Add ricotta cheese, egg, flour and pepper and mix well. Lightly grease a frying pan with some olive oil and add spoonfuls of this mixture on the pan and allow it to cook till golden brown.